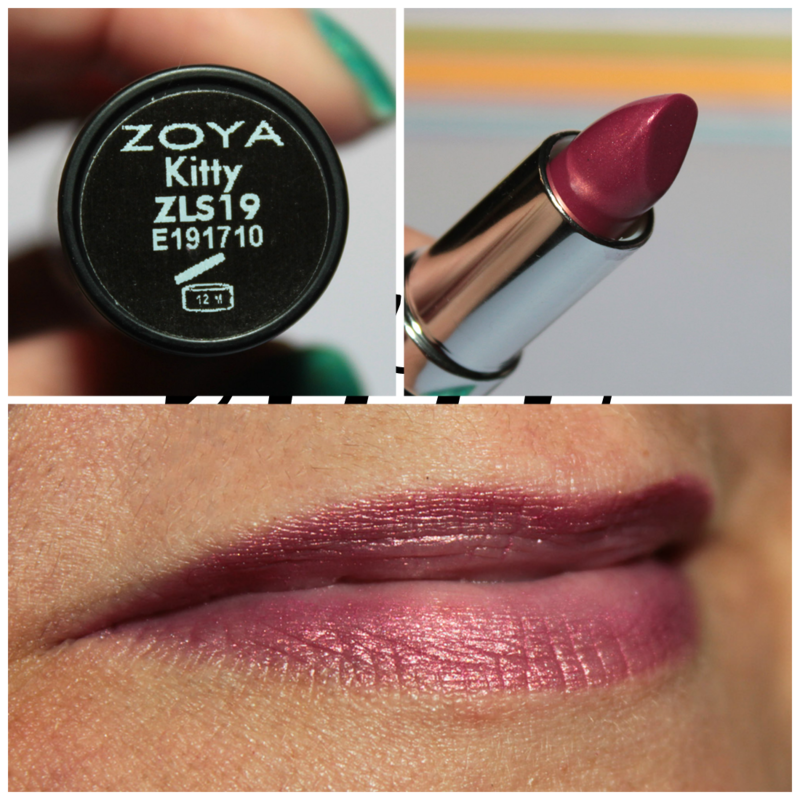 I have 3 new Zoya lipsticks to show you today! 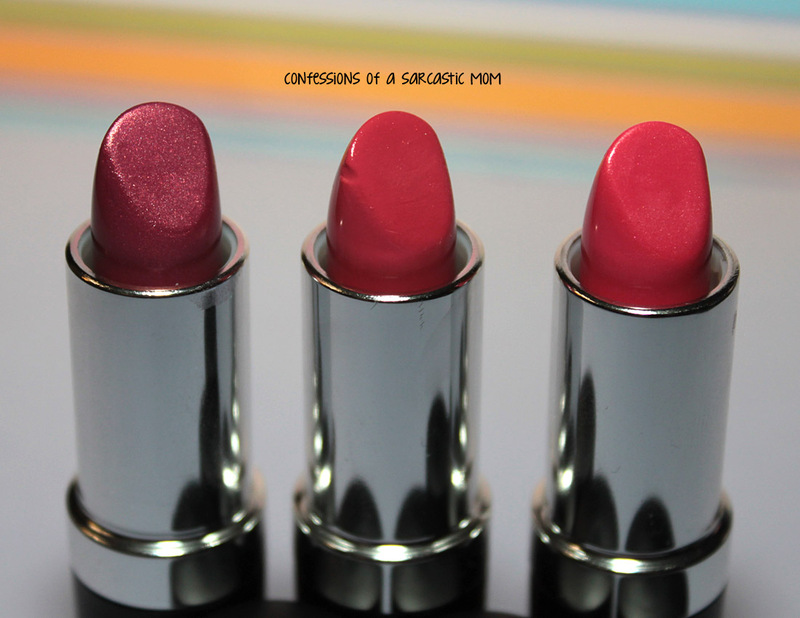 These 3 newbies on the block wear sort of like a light, airy gloss rather than a thick lipstick - which is perfect for summer! 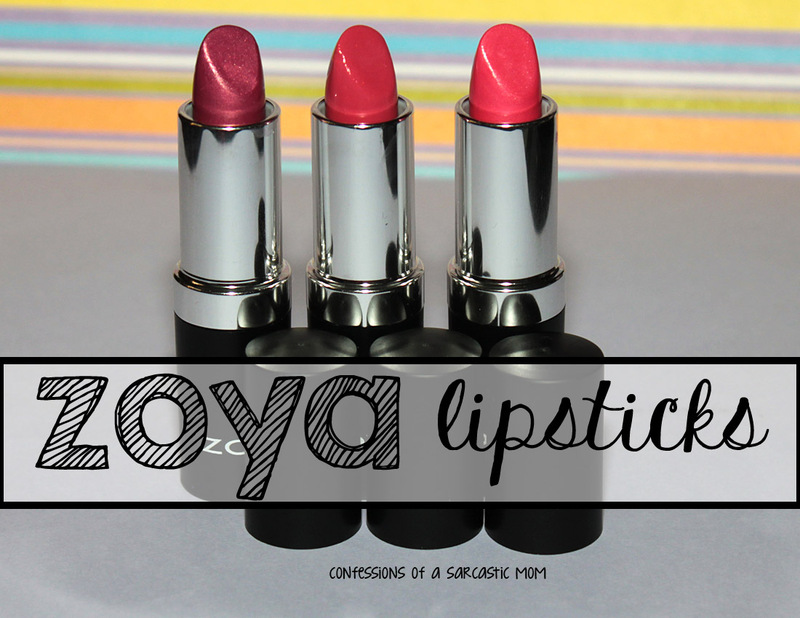 All 3 are in sleek black and silver tubes just like all the other Zoya lipsticks. Not sure what happened to Kay before I took the picture below. Of the 3, Kitty is my favorite. Which is weird because I typically don't like shimmery lips. The site described Kitty as a neutral shimmery pink, but I think it translates, as it builds, as a purple hue on me. This lipstick is really sheer. You need a few swipes to get the shimmer built up. 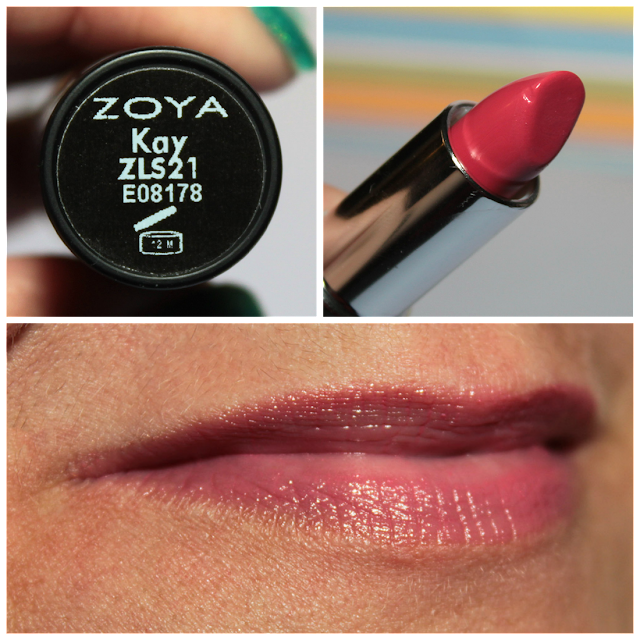 Kay is described as a creamy sheer red, but I don't see a lot of red on my lips - I think it leans more toward pink. Perhaps a watermelon. Again, this one is very sheer and needs some application to build up. 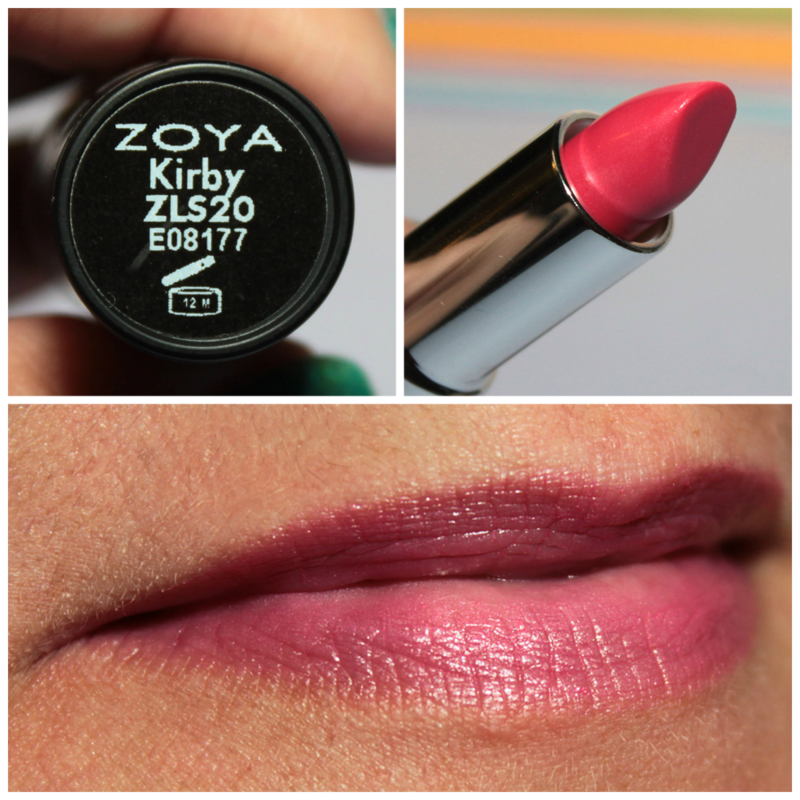 Now, on the Zoya site, Kirby is described as a sheer watermelon pink. I think on me, Kirby takes on a deep pink tone and kind of looks Barbie pink. It really does look good with my skintone, tho, so I won't veto wearing it again! Will you be picking any of them up? 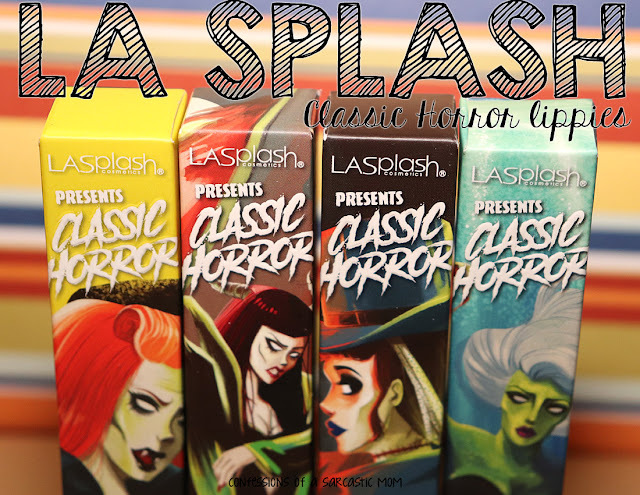 If you keep in mind they are sheer, and you're not expecting in-your-face color payoff, I think you'll really like these! They are hydrating, and keep your lips soft while you wear them. I really do like Kirby, and I'll wear that one a lot. Check out all the Zoya lipsticks or a variety of shades and finishes! You can purchase these from the Zoya website. Price is $12 each.